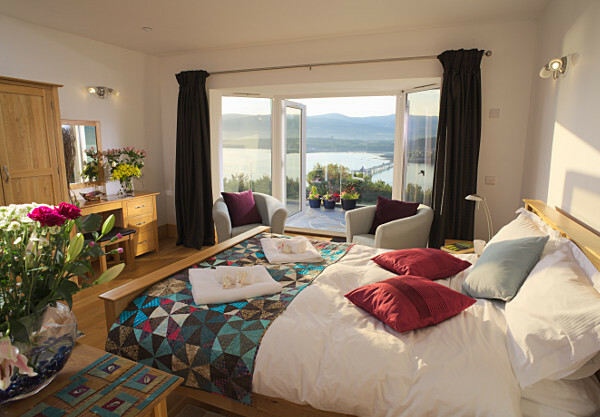 Self catering luxury apartment with awesome coastal views of Sea & Snowdonia. Anglesey coast view, right from your bed in your luxury apartment. 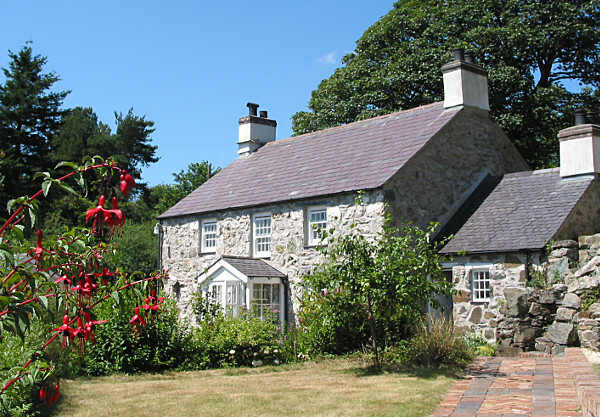 Self catering holiday cottage with private orchard on the Anglesey Coast. This magical Anglesey coast is home to our self catering holiday cottage and luxury apartment. You enjoy awesome views of the Menai Strait and Snowdonia from here. Your welcoming and homely 4 star cottage sits beside its private orchard with absolutely magnificent views. Your 5 star Luxury Apartment has two large en-suite bedrooms, with the front bedroom, lounge and terraces, just soaking up the mesmerising views. This part of the Anglesey Coast is an Area of Outstanding Natural Beauty. Coed y Berclas lies between Beaumaris and Menai Bridge, facing south east to Snowdonia, so you enjoy the best sunshine. Come here to enjoy active, romantic or family holidays. All amenities are close, and we are well placed for Things to do, with walks, cycling, Anglesey beaches, and fun for kids. Most local restaurants and pubs in Beaumaris and Menai Bridge, welcome children … plus … we have our very own Waitrose in Menai Bridge – and Waitrose will deliver your groceries here! Anglesey is well connected by the fast A55 coast road and UK Motorways. How to get here shows all the easy options for travel. Yachting people – you can sail here and enjoy the stunning Menai Strait with its awesome views of Snowdonia. Beaumaris shoreline entering from the Menai Bridge end. Coed y Berclas is run privately by Jane and David, who maintain the standard. We have excellent modern transport infrastructure to and from North Wales, such as the A55 Coast Road… courtesy of Europe… Remember Europe?